The tables have been turned! Instead of me interviewing other people, this time Gihan Perera has asked the questions and I’ve provided the answers. 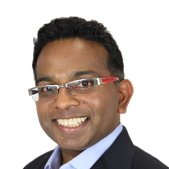 Gihan Perera is a long-time colleague who has written a number of books and helped thousands of experts and organisations understand how the internet has changed our world. He is an insightful presenter who always provides food for thought on how to thrive online. Gihan’s current focus is around iMatter – the power of the individual. Previously, we interviewed Gihan here on how to build your online influence. Are you a Generalist or a Specialist? How to define your ideal career path. Why I left architecture: Are you a ‘What’ person or a ‘How’ person?